Our Heroes in Heaven will forever be in our hearts. 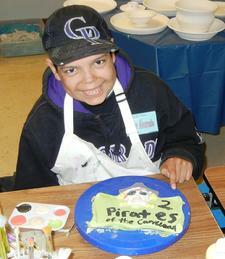 Diego is a 15 year old boy diagnosed with Epilepsy and Leukemia. He started having seizures when he was two and they were under control until he was diagnosed with Leukemia (ALL) on January 19, 2010. Since then, Diego has been going through chemotherapy and having a hard time with side effects. Because of steroids he got Avascular Necrosis in all his joints which gives him a lot of pain and lack of movement. Last year he participated at the YMCA event from Heroes Forever and they have been an incredible support for Diego. HF brought him a good friend, Todd. 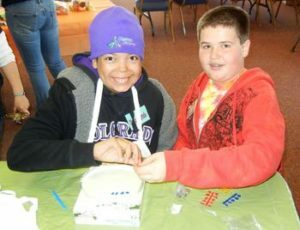 Diego loves to go to any activity from HF knowing that he will have the opportunity to share with his buddy. Despite all the things he had gone thru he is always with a big smile that he can light up any room that he goes in and make everybody smile as well. He loves school and is very responsible with his homework. HF gave him the opportunity to meet Troy Tulowitzki and he reminded him to “not give up, like he is not giving up to cancer”. Diego has been an example for all of us, he is our hero!!! We know that is still a long road for recovery but we live our today knowing that God is taking care of tomorrow. 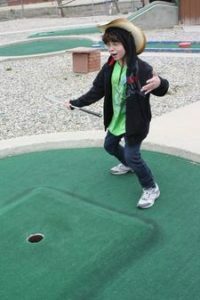 Hunter was an amazing kid who enjoyed camping, basketball, fishing, hunting, baseball and pretty much anything outdoors related. 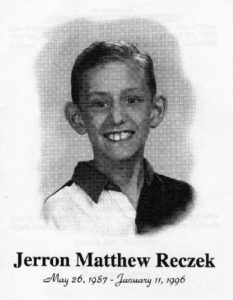 He enjoyed school because he was able to hang out with his friends who he loved very much. 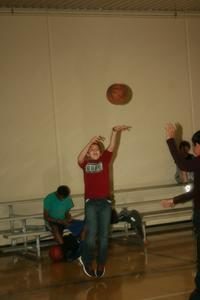 In May of 2010, Hunter was diagnosed with Osteosarcoma with a large tumor on this right leg. Hunter endured a year of chemo treatment and 10 surgeries for the resection of his right femur and walked with crutches for 16 months…and never once complained. After that long journey, Hunter’s cancer was in full remission and we enjoyed a year and a half cancer free. 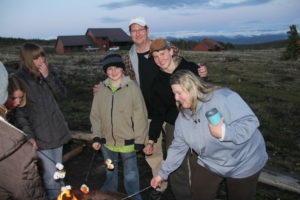 As with any time we had with Hunter, we lived life to the fullest and enjoyed many vacations from the beaches of Hawaii to the highest of the Rocky Mountains. Our family motto has been, “Making Memories”. 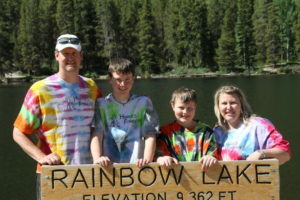 One such amazing trip was our trip to the YMCA camp up near Winter Park, Co with Heroes Forever. What an amazing event Heroes Forever put on and helped us to create memories that will last forever. During one of our routing scans, Hunter’s cancer had come back in his lungs. Hunter would endure another 7 surgeries and the removal of part of his lungs. After a year and half battle, Hunter succumbed to this terrible disease on 10-12-14. 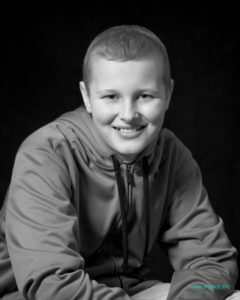 Throughout Hunter’s journey, he touched the lives of everyone that knew him or knew of him through his glowing smile, his primary concern for everyone other than himself, and his positive attitude. These attributes were evident by the thousands who viewed his memorial service and the legacy that continues to live on after his death. Hunter Neelley truly lived his legacy! 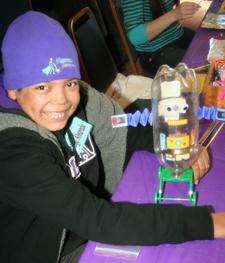 Jonathan is a mega super hero forever when it comes to kids with Leukemia. What would normally make the bravest adults give up completely, doesn’t even slow him down. He started fighting hard against cancer in 2003, at the age of five, and almost a decade later, he is still defying the odds. He can withstand any challenge: low counts, fever, chickenpox, years of chemotherapy, multiple relapses, partial loss of his vision, and even a bone marrow transplant. He has had only a few small breaks from his super-human battles against this nasty villainous disease; but still, somehow, he finds the time to excel in school. Seriously, what kid can give an excuse for not turning in their math homework, when Jonathan hands his over with a smile? But what exactly makes Jonathan so strong? His big heart? His welcoming grin? His loving parents and brothers? His new baby sister to guide and inspire? His abundance of friends who come out to support him at his many fundraisers? His ability to enjoy life regardless of the pain and setbacks that his cancer has thrown at him on a constant basis? Regardless of the answer, clearly, he’s an exceptional wonder boy with many sources of power at his fingertips and our Hero Forever! If you catch him resting every once in a while, don’t be fooled. Occasionally, he might look tired, but everyone around him knows he is full of love and warmth and fight! He defines popularity. Anyone who meets him is instantly infected with the need to reciprocate all the friendliness he routinely dishes out. He’s so likable. Anytime you face an ever-expanding mountain of hardship, you should think of Jonathan and know that winning is always an option! This poem was written by Jerron’s friend, Chrissy, after he passed away. Chrissy was previously on the Heroes Forever Board of Directors. The clouds in the sky are grey with sorrow. A little boy died, he won’t be here tomorrow. Giving us time to think of his fate. Wishing with our hearts that he was here. To fall in love, as so many loved him. Leaving him here to be with us. Though we mourn, he has gone to a better place. A place with no hate, a place filled with love. Now he can watch over us through all the tomorrows. 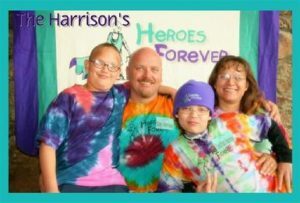 Heroes Forever was founded in memory of Jerron, Vicky Sternicki’s son. Vicky is the President of Heroes Forever. Through Vicky’s strength and commitment and the dedication of the rest of the Board of Directors and volunteers, we strive to help kids dealing with cancer and their families. Merry Christmas from the Vigils. Wanted to tell you what a difference you made for our family last year and to thank you for everything. Our family has been through so much and you put a little bit of hope back into our hearts, so for that we will always be grateful!! Selena has since passed away. Oct 5 2009. Our lives will be forever changed without her… And I wanted to send you a picture or two of our beautiful little girl to keep her alive in all of our hearts. Thank you again so much for everything. And thank all of you so much. Our family will struggle with this lost, but you all made her last Christmas a wonderful one. God bless all of you for what you do for so many families. 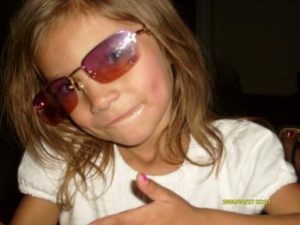 Selena truly had a great Christmas because of Heroes Forever, and you will forever be remembered by our family. Hold this close to your heart.